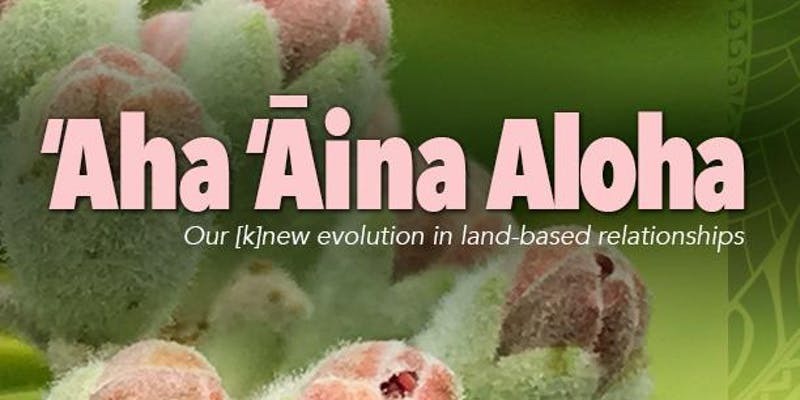 ʻAha ʻĀina Aloha, a colloquium bringing together colleagues, storytellers, cultural practitioners, educators, and community members to discuss land-based relationships, is scheduled for the UH West Oʻahu campus during a one-day event next month. The ʻaha organized by Dr. Manulani Aluli-Meyer, UH West Oʻahu’s Konohiki of Kūlana o Kapolei, is scheduled for 7:30 a.m. to 4 p.m. on Friday, Jan. 4, and will feature participants and speakers from UH West Oʻahu, Kumu Pono Associates, Cultural Surveys Hawaii, Volcanoes National Park, Mālama Learning Center, Palehua, Kamehameha Schools, Purple Maiʻa, the Office of Hawaiian Affairs, HART, the University of Saskatchewan, and others. Moʻolelo (story) is a tool for continuity. Stories bring people into their shared and intersecting histories; they can thrill and guide; and shape a mutually emergent future that everyone is poised to participate in. This theme, Welina Honouliuli, features cultural practitioners, language scholars, digital storytellers, and kahuʻāina – land stewards passionate about the role and purpose of story. Creating authentic and loving relationships with earth/sky/water can be practiced anywhere. Why not use institutional spaces to help orient us back to moon and star knowledge, or to the seasons of Hoʻoilo and Kau? Why not plant trees that our birds recognize, use, and sing about? Why not plant food? The Cultural Landscaping sessions will be gracefully developed with kupuna, cultural practitioners, ethnobotanists, landscaping practitioners, and community members dedicated to these ideas in unique ways. Land is our forever teacher. Come and hear how experienced educators keep the love and care of land as central operating principles of their teaching and learning. Hear the insights and lessons of a Masters cohort in Land-Based Indigenous Education at the University of Saskatchewan. They will detail and summarize their final M.Ed. projects in land-based learning. Students: Land-Based Indigenous Masters Cohort from Canada. The conference is free to attend, but participants are asked to RSVP by Dec. 21 at http://bit.ly/AhaAinaAloha. Light refreshment and lunch will be provided. For more information, please contact: Dr. Manulani Aluli Meyer – manulani@hawaii.edu. Tagged colloquium, ʻaha, The University of Hawaiʻi-West Oʻahu, www. Bookmark the permalink.